Flores El Capiro S.A., Colombia, is the International Association of Horticultural Producers (AIPH) International Grower of the Year (IGOTY) 2017. The coveted Gold Rose winner is one of the largest chrysanthemum growers and container exporters in Colombia and indeed the world. Delivering flowers to customers using pioneering sea freight and innovative packaging, its container packed cut flowers reach the most distant markets, including Australia, with a transit time that exceeds thirty days. Today Capiro’s planted area covers 75 hectares, with plans to both reach 100 hectares and increase productivity to meet with customer demand. 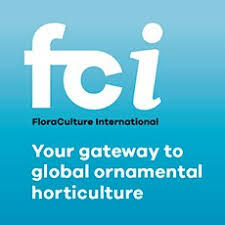 Celebrating the world’s best in ornamental horticultural production, the awards, sponsored by Headline Partner, Royal Flora Holland, took place on Tuesday 24 January 2017 at the Colosseum Theatre in Essen, Germany; during the week of IPM Essen.